An invitation to reconnect with America’s original vision of freedom and power. Just as every individual possesses a "sacred contract"—an obligation to fulfill a divine destiny—so too does every nation hold an agreement made for the planet's highest good. 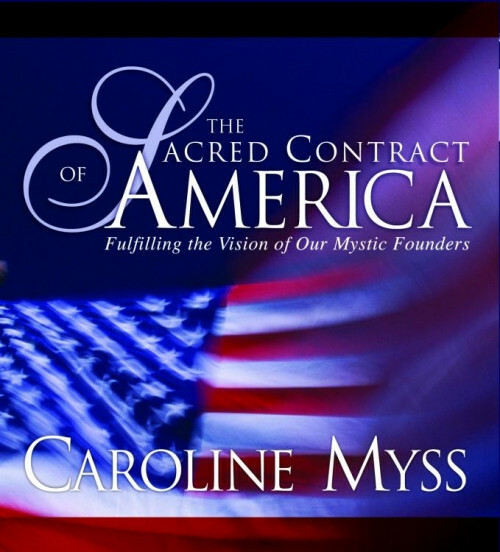 So begins Caroline Myss on her inspirational call to action, The Sacred Contract of America. From its inception, Caroline Myss explains, the United States has been a great spiritual experiment—an unprecedented evolutionary step forward for human civilization that is both magnificent in its promise and perilous in its dangers. With The Sacred Contract of America, this modern-day patriot offers you an impassioned guide to actively participate in resurrecting your nation's highest potential. Review for The Sacred Contract of America Review by Steve "Lgringo"